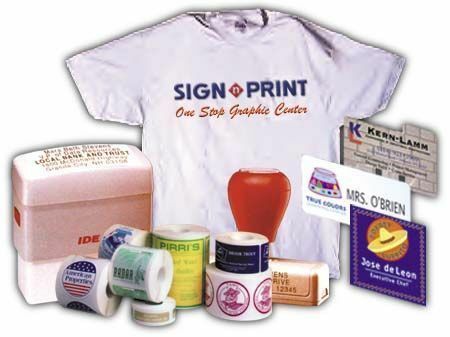 We also offer a wide range of specialty item for screen printing, embroidery and iron-on transfers, excellent for t-shirts and hats. How about a personal bumper sticker? Here's a chance to make your statement in life. We can design anything you want.